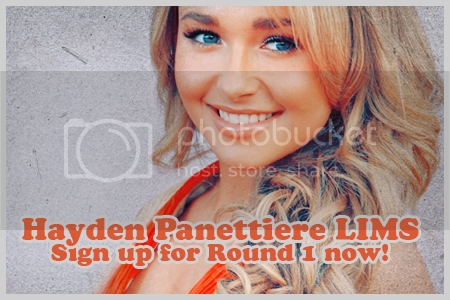 If you would like to participate in the first round of haydenp_lims, leave a comment here with your username. Make sure you've read the rules! You should be a member of the community before you sign up here! Promote!! Earn yourself an extra skip by promoting the community! Leave a link here with your promo. Thanks! I think we'll start when we have at least 10 participants! More participants are always welcome of course! adding you to the list. :D adding you to the list! :D Adding you to the list, dear!